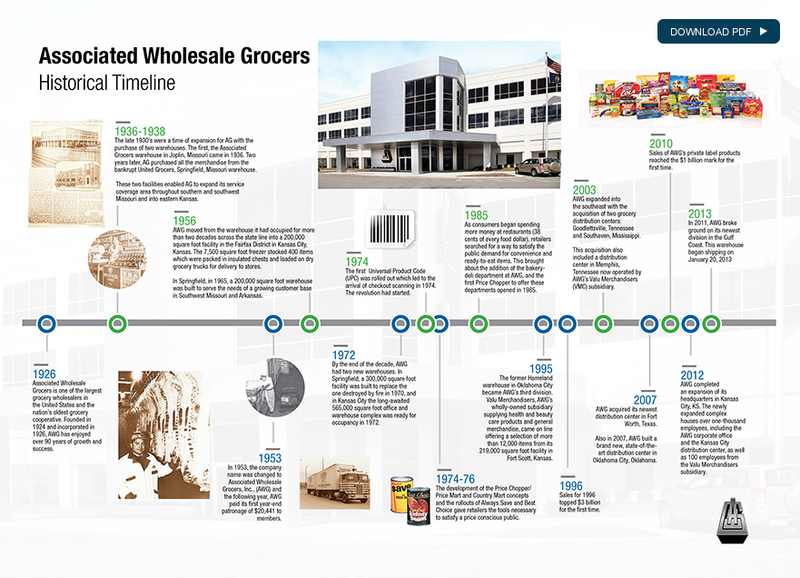 Associated Wholesale Grocers is one of the largest grocery wholesalers in the United States and the nation's oldest grocery cooperative. Founded in 1924 and incorporated in 1926, AWG has enjoyed over 90 years of growth and success. Explore our history by clicking on the decades listed to the left. Copyright© 2007-2019 Associated Wholesale Grocers, Inc.